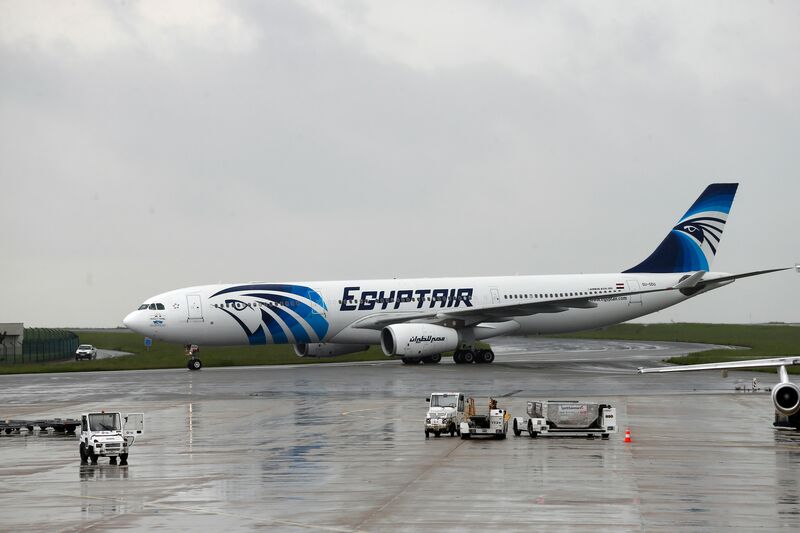 In a statement Thursday, the Egyptian Civil Aviation Ministry said it found traces of explosives on EgyptAir 804 victims, according to the Associated Press. That reinforces the possibility of terrorism, so a criminal investigation will begin to figure out what brought down the jetliner with 66 people aboard in May. Thus far — in contrast to a Russian jetliner that was downed in Egypt's Sinai Peninsula in 2015 — no terrorist group has taken responsibility for the attack. Body parts were found days after the crash in the Mediterranean and forensics officials told the press that it suggested there was en explosion on board. At the time, aviation officials said it was far too soon to make such conclusions, but those examining the body noted that the pieces recovered were quite small. More remains were recovered from the sea floor in July by a ship specializing in deep-sea recoveries. All the remains were transferred to Alexandria to be examined by both French and Egyptian experts. Finally DNA analyses were performed in Cairo. This is the first concrete evidence that an explosive may have brought down the Airbus A320, but there was other information from the plane's black boxes and sensors that would support the theory. Automated messages were sent to the ground indicating a fire in one of the plane's bathrooms and in the avionics bay, where the plane's electronics are housed. The black boxes' audio recordings make it seem that a pilot tried to put out a fire in the cockpit before the plane crashed, and the flight data recorder confirmed "thick, black smoke" on board. The announced investigation will be carried out by Egyptian authorities. In June, French authorities said as there was no evidence to point to terrorism, and thus the manslaughter inquiry in the country would be structured as an accident investigation. That could now change, The Independent reported. Before the downing of MS804, EgyptAir's previous crash was in 2002 in Tunisia. The cause of the crash was not terrorism but rather weather conditions and pilot error. The pilot did, however, dump fuel before the emergency landing, allowing 48 of the plane's 62 passengers to survive. Many walked out of the plane. Prior to the Tunisia crash was a plane that went down on its way from New York City to Cairo. After reaching a cruising altitude, it mysteriously crashed into the Atlantic Ocean. NTSB investigators pointed to a pilot suicide as the cause (similar to the Germanwings crash in the French Alps), but Egypt never accepted that explanation. Finding a clear cause to this jet's downing will be instrumental in preventing future crashes of its kind — whatever that is.